Join The Young Professionals Board of the Saint Louis Chess Campus and the Central West End Association as they host their monthly First Friday event at the World Chess Hall of Fame on Friday, March 2nd. 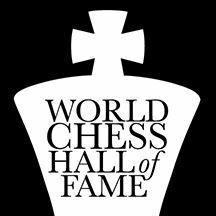 This event will feature the World Chess Hall of Fame Exhibit PINNED! A Designer Chess Challenge which is a partnership between the World Chess Hall of Fame and the Saint Louis Fashion Fund, to celebrate the intersection of chess and fashion. This event is free to attend but please RSVP in advance. FREE for CWEA members and non-members. Please RSVP in advance.